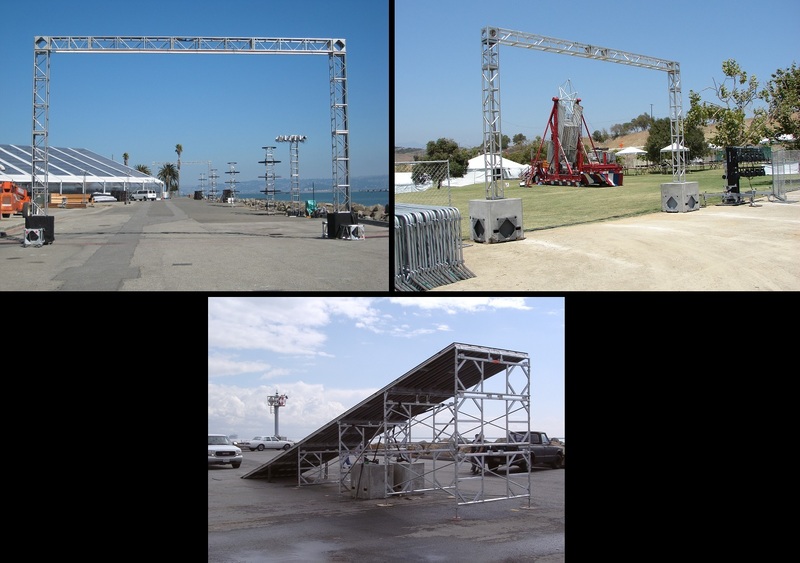 Concrete Blocks & Water Ballast for rent from Stage CMDR, Inc. 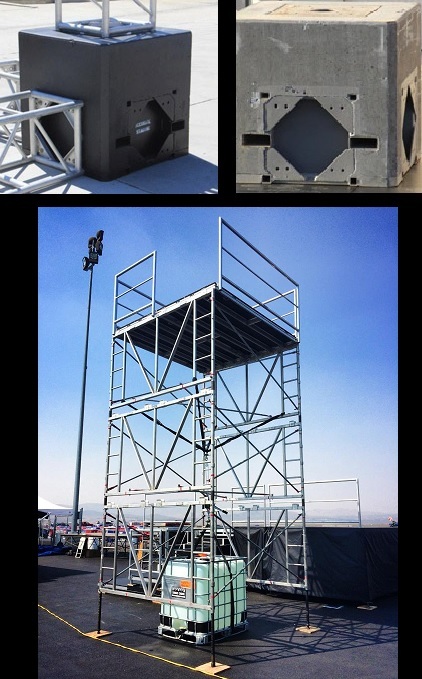 Concrete ballast blocks and water totes are used for dead weight to hold down a platform, stage, spot tower, mezzanine structure, truss tower, truss arch, vehicle ramps, bleachers, seated platforms, truss grids, audio/video tower, truss banner support or just dead weight. 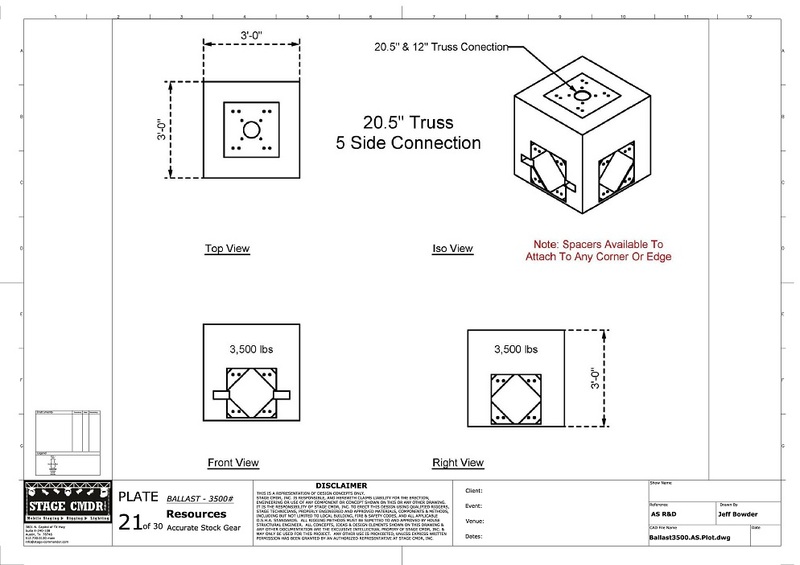 The truss bolting concrete blocks are unique not because of how heavy they are, but because both of the ballast blocks have 12″ and 20.5″ truss bolt patterns molded into the blocks which allows standard truss to bolt directly to the block itself. To move and position the concrete blocks, a fork lift is needed. There are different methods and tools available to set up on uneven terrain. 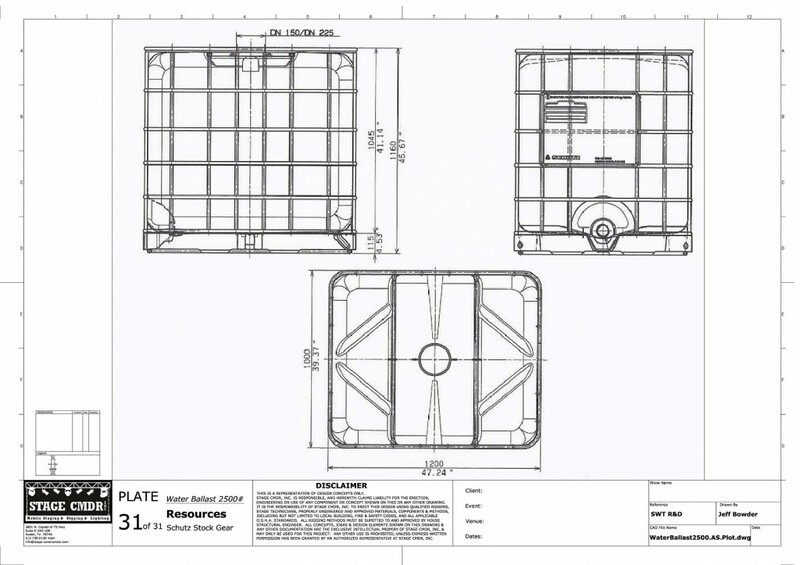 If you need a great deal of 3500lb concrete blocks it is proactive to keep in mind that on a 48′ flatbed/semi combo, only 12-13 blocks will be able to be transported on 1 truck at a time. 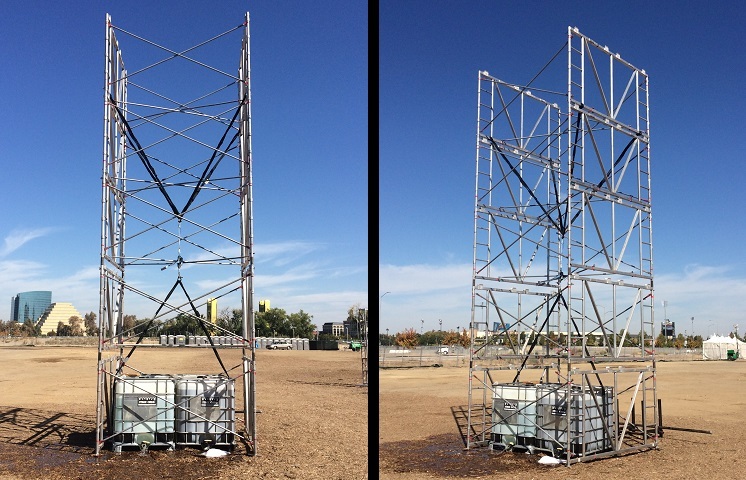 The water totes are ideal if you do not need to utilize lighting truss connecting to the concrete blocks. Also if you need lighter transport loads which enables you to transport more at a time. The totes weight approx 95lbs when empty. All you need is 275 gallons of water per tote. A water truck can fill 1 tote from the top in under 4 minutes. At the bottom there is a valve that you turn to release the water. 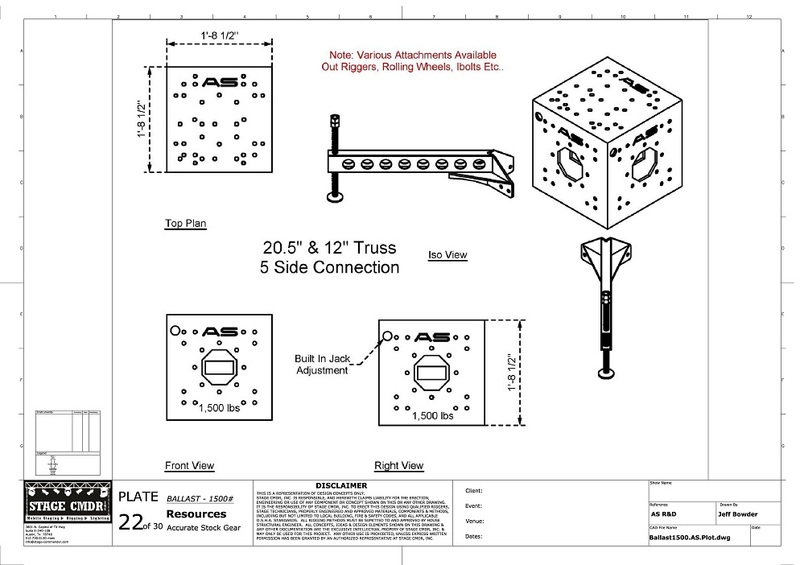 Also available are spansets/roundslings, shackles and miscellaneous rigging gear to secure to either the water totes or the concrete ballast blocks.